Some families become separated when a spouse or partner is able to achieve residency in the U.S. This could be due to one partner being born in the U.S., while their partner is considered a foreigner, or perhaps because of a work visa, student visa or many other circumstances. Hykel Law can bring you closer together, legally. We have intimate knowledge of the immigration process; hence we know not simply which documents must be filed but the complete preparation that must be taken to expedite and win your case. Without an immigration lawyer in Philadelphia to help you, it can be very frustrating to bring your loved ones to the U.S. from overseas. Hykel Law offers the shortest, fastest route to getting your partner or fiancé here safe and sound. FIANCé VISAS: Fiancé visas start with a “Non-immigrant Visa Petition,” whereby a couple must submit the Petition and supporting documents to USCIS in the U.S. for approval. After USCIS approves the Petition, the Foreign National must then submit a Fiancé(e) K-1 Visa packet to the U.S. Consulate overseas and attend a consular interview. At Hykel Law, we know what supporting documents USCIS and the Consul want to see to approve your petition and visa application. Only after both agencies approve your case, can your National fiancé come to the United States in K-1 status. After your fiancé comes to the United States, you must marry within 90 days of his/her entry. Thereafter, your spouse can adjust status to a Lawful Permanent Resident (Green Card). Most people are unfamiliar with all of the steps, supporting documents and interview questions that will be asked, therefore hiring Hykel Law to expedite and walk you through this process can help you and your bride or groom reunite and enjoy your new lives together in the U.S. MARRIAGE TO UNITED STATES CITIZEN: Marriage-based immigration services require a protocol to follow to obtain a green card and citizenship in the U.S. Hykel Law handles many different types of marriage-based immigration cases, so that you can move on with your lives as soon as possible. We help hundreds of couples through the tedious, marriage-based immigration processes each year. 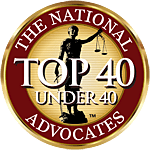 Qualifying Foreign Nationals who currently live in the U.S. through a lawful admission may sometimes apply as an Immediate Relative for Permanent Resident status; however the marriage must be entered into for the right reasons. Hykel Law will help you prepare for your appointment with USCIS in Philadelphia for the mandatory prenuptial “marriage interview” in order to proceed legally as husband and wife. Qualifying Foreign National spouses who live abroad will be asked to go through “Consular Processing”, which is a comparable, albeit lengthier process. Before your spouse can come to the United States, an Immigrant Visa interview will be held with a foreign United States Consulate in the designated country. Hykel Law can walk you through the steps that will be required in order to prove the validity of your relationship to the U.S. Embassy. REMOVAL OF CONDITIONS: Even after marriage, the spouses of Foreign Nationals whom have been married fewer than two years (from the time a green card was issued) will be given “Conditional Permanent Resident” status. A “Petition to Remove the Condition” must be made within 90 days of the green card expiration. If you failed to file your Petition to Remove the Condition within 90 days, USCIS may still allow you to file the Petition if you meet one of the exceptions. 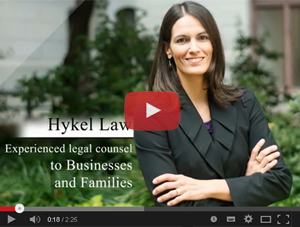 Hykel Law can help you file your Petition on time, if it is late. Whether you are still married to your spouse, divorced, separated or widowed, the Petition to Remove the Condition can be filed. Hykel Law can help you determine the best strategy for your Petition and walk you through the steps needed to ensure a favorable outcome. WE HELP YOU ENJOY YOUR MARRIAGE TO THE ONE YOU LOVE, NO MATTER HOW FAR AWAY THEY ARE.